One of only a handful of states without a provision for legal open carry, the option of bringing a holstered handgun along while fishing in public has long been a tactic used by supporters of the concept to exercise their rights. In 2011, Guns.com reported on a group of 100 such advocates in Venice, Florida as well as subsequent events held in conjunction with Florida Carry over the years. Earlier this year some 250 “openly bearing arms and fishing poles” were on hand in Ocala. The group, who has unsuccessfully fought both the state Supreme Court and the legislature over open carry, isn’t backing down from the latest incident. 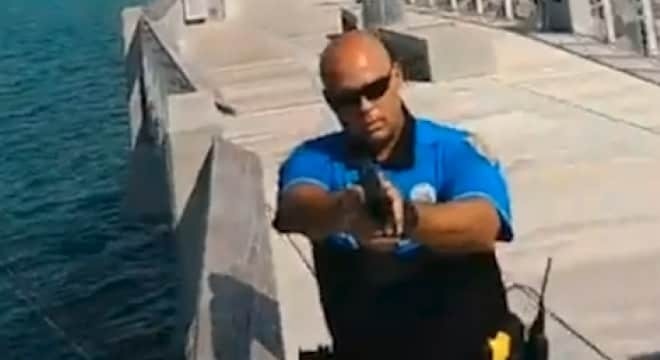 Eric Friday, an attorney for Florida Carry who successfully sued the city of Tampa over a similar 2015 case of a detained fisherman with a handgun, warned Miami Beach Police that their officers had committed an aggravated assault in their actions and is reportedly seeking more information about the interaction.